After a couple of years of tighter and stricter Internet regulation by Chinese officials, including a crackdown on pornographic websites in 2009, the results are in. The Chinese Academy of Social Sciences said there were 41 percent fewer websites at the end of 2010 than a year earlier. 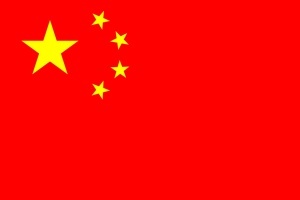 More specifically, the Chinese government shut down 1.3 million websites in China last year. Liu Ruisheng, the academy's researcher, insists China has a "high level of freedom of online speech." He pointed out that despite the declining number of websites, the number of web pages actually rose to 60 billion during 2010. This represented a 79 percent increase over the previous year. "This means our content is getting stronger, while our supervision is getting more strict and more regulated," he told the BBC. Critics of Chinese regulatory policy will of course disagree. Content will increase as time goes by regardless of whether the number of websites is growing or falling. More content on fewer websites does not, however, demonstrate a free Internet marketplace, and it should not be something that is celebrated. China's web censorship is affectionately known as the Great Firewall of China. The country uses multiple methods to control the Web: IP blocking, DNS filtering and redirection, URL filtering, Packet filtering, as well as connection resets. Many foreign news websites are blocked as are popular social networks. China's Internet censorship is not the best thing in the world, but at least the country's citizens have some form of access. Could you imagine if the government decided to turn off the Web in the world's most populous country, and the one with the largest Internet population?